Cornelia McNamara makes modern-day magic. Is there any other viable explanation that describes the ephemeral perfection of her floral designs? 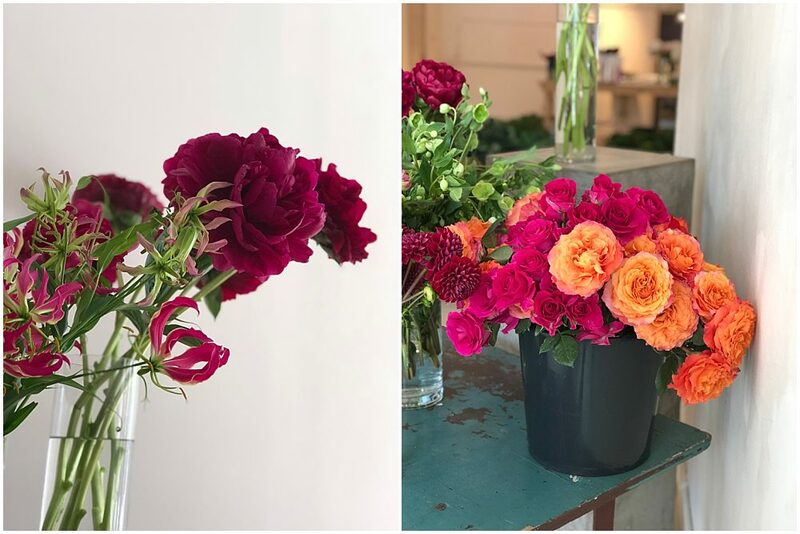 One of Chicago’s best-kept, not-so-secret secrets, her fresh flower arrangements have been integral components to some of Chicago’s best and brightest events, including several catered by yours truly! 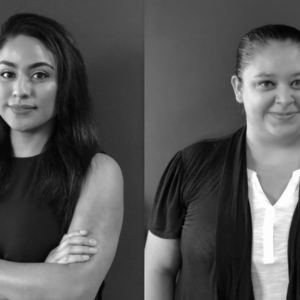 In fact, this is the first in an ongoing series of event artisans we adore working with: our tribe, if you will. When we paid a visit to Cornelia McNamara’s modest studio nestled amongst other bustling businesses on Chicago Ave in West Town, we knew we were in for a special sit-down. McNamara welcomed us into the space to the crisp, invigorating scent of just-rustled mint stems. When we spotted the 28-foot garland made of rosemary and thyme, we had to ask about her plans for it. These are the little details that McNamara hones in on to design totally personalized decor for clients. We later realized that those same clients had hired us here at EC to provide operations and staff for that same event. Seeing as we like to think our customized, hands-on approach to events is in line with hers, it’s unsurprising that this is not our first partnership. What does McNamara mean by “transcendent worlds”? She employs a “360-degree” approach—one in which she considers and caters to all six senses. As an example, she tells us about the flower crown party she and her team recently designed. 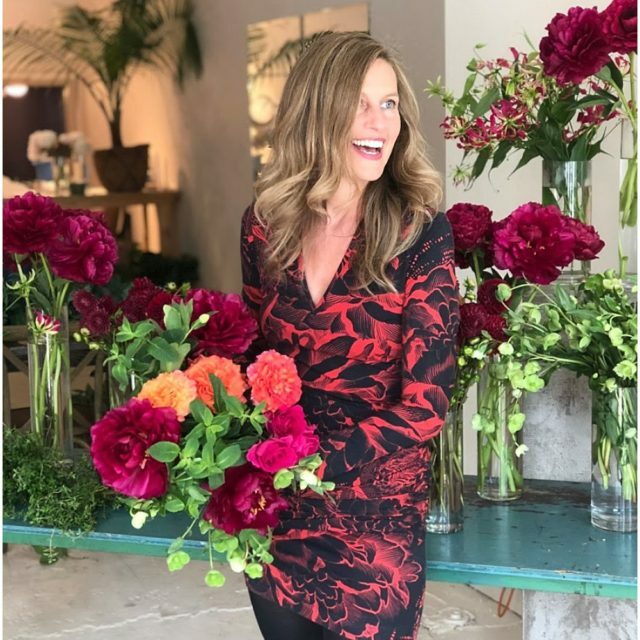 McNamara herself describes her signature style as “hyper-lavish and unexpected, yet classic.” Influenced deeply by her childhood in late 1970s Chicago, she comes from a family of florists. Her mother managed the famed Green Inc. flower shop on Wells St., a woman-run storefront that specialized in oversized tropicals and ethnographic artwork—an anomaly for the time period. Inspired by the seemingly effortless effect of the overgrown botanical wonderland, McNamara’s own style reflects both her own unique experiences, as well as innumerable historical references to classic art, architecture and fashion. For in-home parties and celebrations, McNamara takes a similar approach, learning all she can about the home, property and host family. 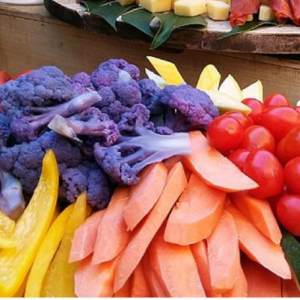 We here at EC catered a backyard wedding with McNamara one October. To beautify the out-of-bloom rose garden in the yard, she and her team added a myriad of live buds, creating a Disneyland-esque fantasy of “hyper-reality.” Her unparallelled creativity, commitment to her clients and admirable moxie propelled her to an interview for the position of Chief White House Floral Designer—one of only 6 florists flown to D.C. for in-person interviews at 1600 Pennsylvania Ave.
Little is more emblematic of McNamara’s signature high-low design style than her blossoming urban flower farm located right here in Chicago. 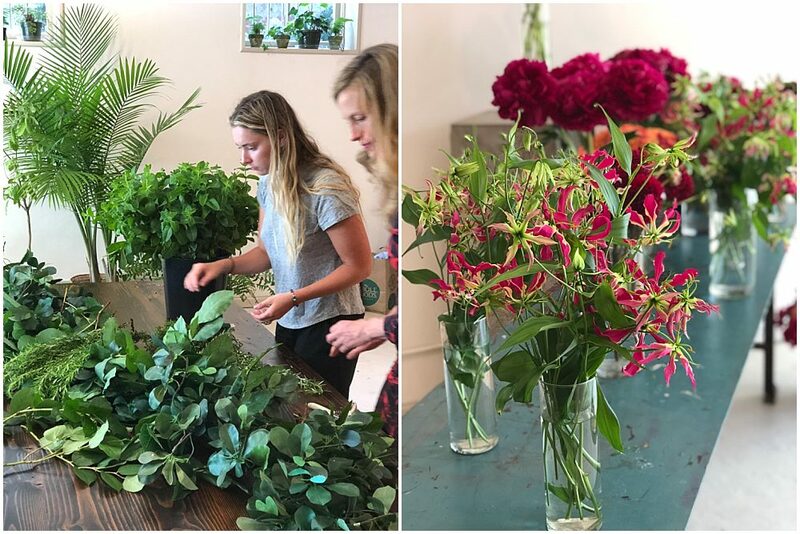 After researching the carbon footprint of flowers, including some of her own, as compared to flowers grown locally, she found that imported blooms clock in somewhere around 43,000 miles of travel, a staggering number especially when compared to the 14 miles most local stems travel. For McNamara’s homegrown blooms, it’s only 5 miles from farm to studio. 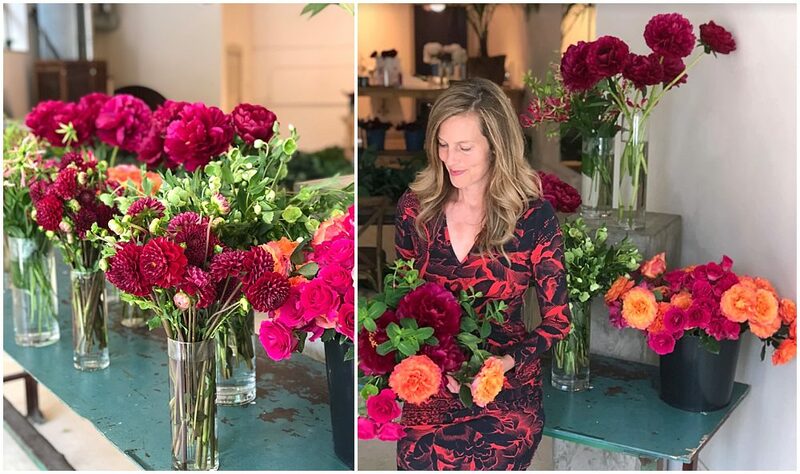 McNamara is adamant in her belief that the flowers she plants and tends to herself are more beautiful than anything she could get shipped to her. And apart from the ability to affect draw-down, that’s the unique value her farm brings to her floral design business. 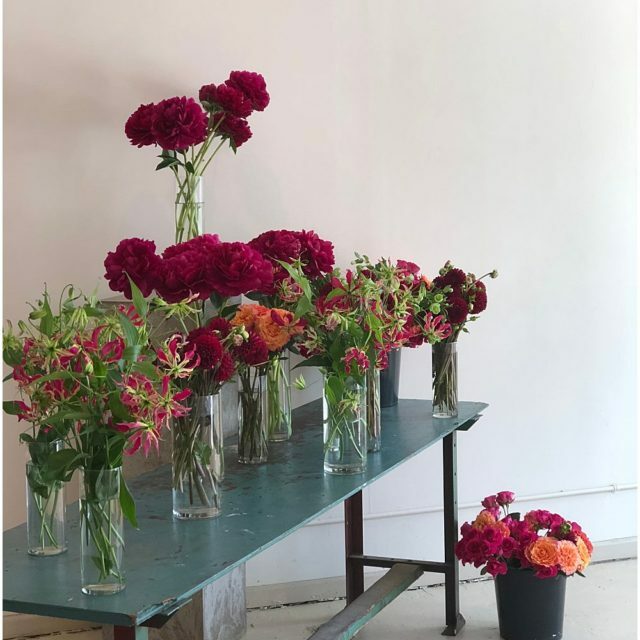 For more information on Cornelia McNamara Flowers, visit the website or call the studio (located at 2130 West Chicago Ave.) at 773 255-9349.